ALWAYS DOWNLOAD POSITIVE VIBES – As I mature professionally and personally, I am convinced that love, peace and happiness is the answer to all things. However, the world has its share of hate and ugliness. The news, our Twitter feeds, the music we listen to and even our surroundings can be filled with negativity, so as you spring clean fam, consider the positive stuff. Endeavor to select better music, support better missions, keep better friends and monitor your self-talk. I cannot be the only one that realizes that 2019 will require that we clean it up. CHECK ON YOUR CIRCLE – More and More, we find that while we are out winning, some of our biggest supporters have secretly become envious. They are watching you win, elevate and expand, but you have yet to offer advice or any how tops. Some of us are tapping into the gift and neglecting to share our knowledge. As you spring clean, I challenge you to not just count your friends-turned-enemies but to be more careful with the feelings of your friends. The good book commands that we Love Thy Neighbor. Cherish their contributions to your life by increasing what you can do in theirs. You don’t have to decrease or hide your light, but you can use your gifts, talents and wins to inspire. I can totally see how a friend could be jealous of your seemingly perfect marriage, awesome children or dream job. In your conversations, between gossip and current events, be sure to include how you are accomplishing your goals. A friend who gloats and brags about their wins will never be as rewarding as a friend that inspires families, communities and generations to win as well. 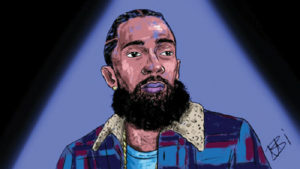 I honestly believe that the man who killed Nipsey Hussle only needed to be inspired, so I beg the question: Who have you inspired lately? WHAT’S UNDER THE RUG – I went to a therapist recently, and discovered beneath my pretty smile, successful business and entourage of great friends, I am holding on to past pains and defeats. In comparison, I realized every time I spring clean, I throw out bags and bags of garbage, but the house is still filled with clutter, some invisible and some bulging out from under the rug. To the plain eye, my house is clean and clutter free, but inside, I know there is still wrought to do. Yet year after year, we all sweep real issues under the rug. Molestation allegations surrounding Jackson and Kelly remind us that we often prefer entertainment over justice. It is easier to sweep this under the rug. The death of Nipsey Hussle reminded us that despite the strides being made in the Black community, some of our brothers and sisters are still falling victim not only to the system but to Black on Black crime. For some Blacks, it’s easier to sweep this under the rug. And the movie US reminded us, that under the surface, there is a version of us that is dazed, confused and trapped in a strange vortex. It’s just easier to sweep all of this under the rug. This edition of On Scene is not an attempt to justify or explain anything, but rather, an opportunity for myself and my readers to be self-reflective. We must spring clean. Our mental health and our communities are crumbling before our eyes. Under the guise of success, we are falling apart at the seams. It is undeniable the need for therapy, updated missions and positive engagement with one other. 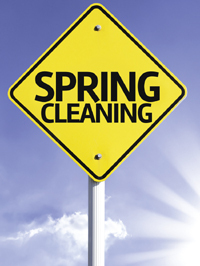 I am not sure how we are to get this done, but I know it starts with spring cleaning.